You’re getting divorced. It’s likely that one or both of you are angry, resentful, hurt, vindictive or any combination of other painful emotions. You want to lash out, to get back at your spouse or boost your own sense of esteem. Hiring the most aggressive litigious divorce lawyer you can find may seem like your smartest choice. Your ex is in for a fight! If you’re a parent who is thinking along those lines, you’re making a decision you may long regret. And so will your innocent children. If you choose a lawyer who directs you straight into a vicious court battle, the costs to you can be insurmountable – not only in financial outlay, but in emotional turmoil as well. Think long and hard before you move your divorce battle into the litigation system. It is likely to take its toll on every member of your family – especially your children – in the most destructive and gut-wrenching ways. It happens all the time. But it need not happen to you. When you give your divorce outcome over to the courts, you are paving the way to unimaginable stress and frustration compounded by a sense of powerlessness that is hard to comprehend until you are in its grips. As you stand by and watch attorneys and judges make decisions about your life and your future you can’t help but feel violated and helpless. The taste of revenge you were after can easily turn into anxiety and shock when issues get twisted – and victors become victims right before your eyes. The consequences can play out for years, and often decades, to come. Sadly, your children are not protected from the emotional and psychological repercussions. In today’s busy courts, custody decisions are often made by those who are focused more on financial issues than family issues. Children’s needs often get pushed aside in favor of other objectives. Relationship dynamics, future family life balance and good do not get prime attention in the battle of divorce. And the scars on your children’s psyches are often overlooked in the legal blood-bath that ensues. There are other ways. Better ways. Actually, more ways than ever before to create a healthy divorce that respects the rights of everyone in the family and protects your children’s wellbeing now and long into the future. Before engaging that “killer” attorney, talk to a Collaborative Divorce attorney who specializes in creating peaceful outcomes without going to court. Collaborative Lawyers engage a team approach. They are trained to use their own special skills along with the aid of financial planners, therapists, and other resources to bring both sides into conversation about win-win outcomes. Children’s needs get high consideration. Certified Mediators offer another opportunity to create a fair settlement without litigation at a considerable cost savings. Many mediators are former divorce attorneys who have battled it out in court and know there are saner solutions for all concerned. They care about creating peaceful resolutions. 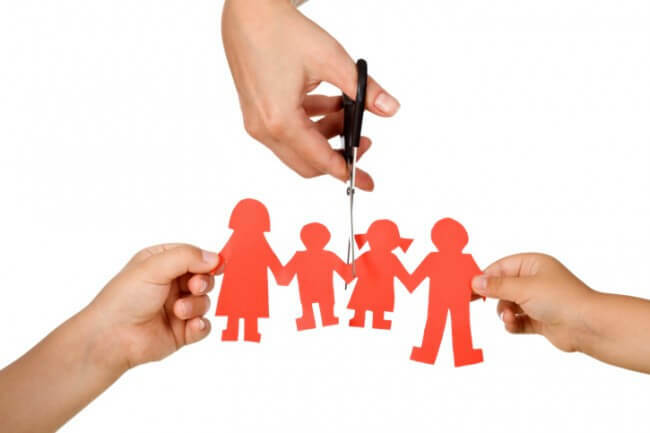 The Child-Centered Divorce Network recommends other family-friendly divorce attorneys in our directory. Just click on the Meet Our Experts button at //www.ChildCenteredDivorce.com. For co-parents who still believe they want to battle child custody issues with their soon-to-be former spouse, please watch the trailer to this vitally important film, Talk To Strangers. Get the real truth, from a caring divorce attorney, about how children are affected by these court battles launched in the name of “protecting the kids.” Visit: //www.ChildCustodyFilm.com. Learn from the lessons and mistakes of others. If you want to save yourself considerable expense – both emotionally and financially – and if you want your children to thank you when they are grown up for creating a civilized, sensible, harmonious divorce – make the right decisions today. Stay out of court. Stay out of the hands of killer attorneys. Stay in the good graces of your children. Create a Child-Centered Divorce – and reap the rewards for years to come! Rosalind Sedacca, CDC is a Divorce & Parenting Coach, the founder of the Child-Centered Divorce Network and author of the ebook, How Do I Tell the Kids About the Divorce? A Create-a-Storybook Guide to Preparing Your Children — With Love! For her free ebook on Post-Divorce Parenting as well as expert advice, coaching, programs and other valuable resources on divorce and parenting issues, go to: www.ChildCenteredDivorce.com.